The Dumbbell pullover is an upper body exercise that primarily targets the chest, but also works the lats, shoulders and triceps. 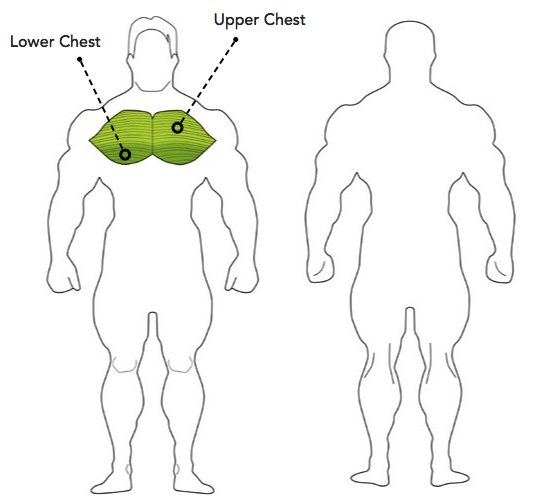 This is an isolation exercise which is well suited to intermediate lifters. You should feel a stretch in your shoulders and chest but avoid over arching your back or going past the point that you feel comfortable. 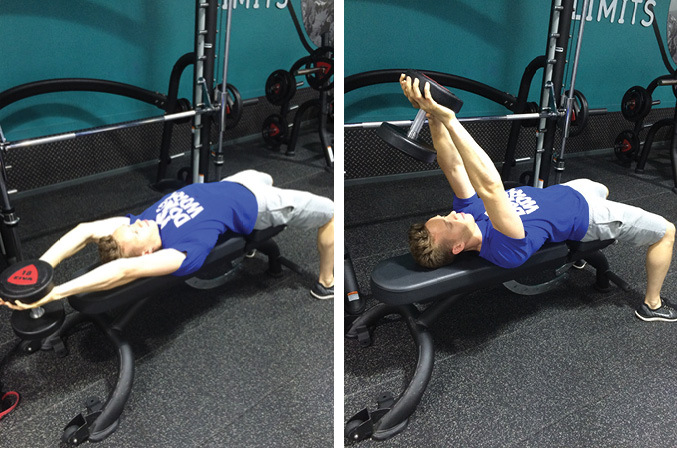 Lie on a bench and hold a dumbbell with both hands directly above your chest and feet firmly planted on the floor. Your arms should be slightly bent and this is your starting position. Carefully lower the weight behind your head keeping your arms straight until your body is stretched to the limit of what feels comfortable. Lift the weight back to the starting position, keeping your arms straight until it is over your chest again.